One of the most important projects launched this decade at the Center for Historic Preservation is the partnership with the National Park Service, the Cherokee Nation, the Eastern Band of the Cherokees, and the Trail of Tears Association to document buildings and structures along the various routes of the Trail of Tears. There are more buildings and structures than you would expect, and we have come up with such internal designations as “witness houses”–places that exist directly on a route, that the residents witnessed the removal–and “points of origin”–places where Cherokees left established homes, walked out of the front door, and by those steps began their own individual journey on the trail. 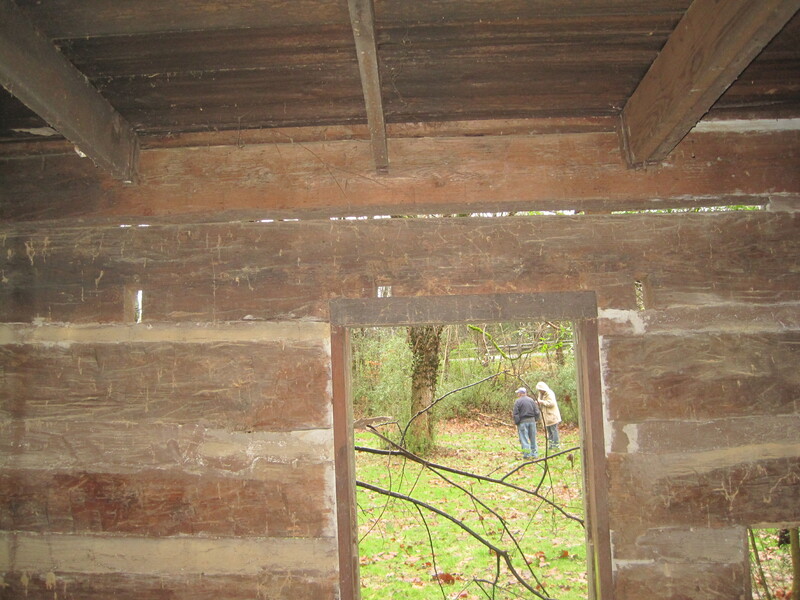 The Shamblin Cabin, just north of Calhoun and near the Hiwassee River in McMinn County, was documented as a possible point of origin. 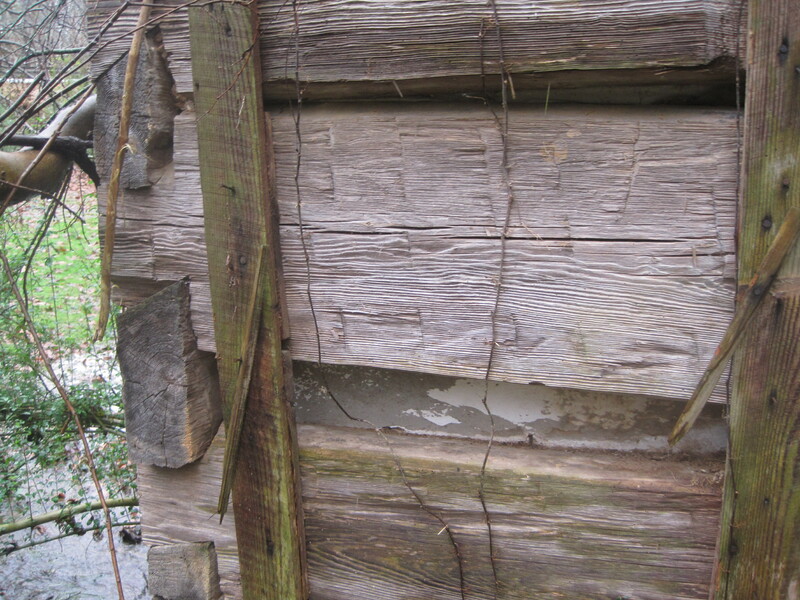 Exact official documentation of the age of the building has been difficult to find, but Cherokee tradition as well as physical evidence in the log construction, makes us think that here was a point of origin cabin. 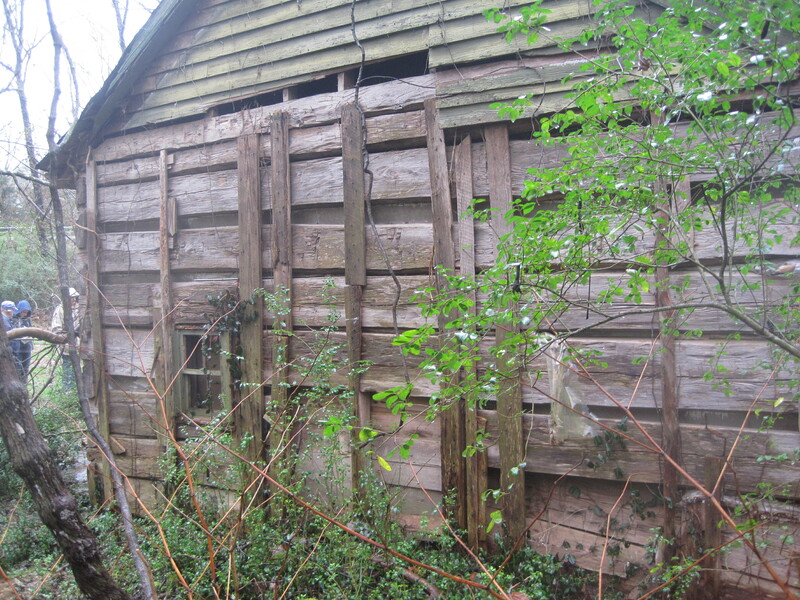 Partially exposed side wall–the window and remnants of board and batten siding came probably c. 1900. A frame addition was made to the dwelling at that time. 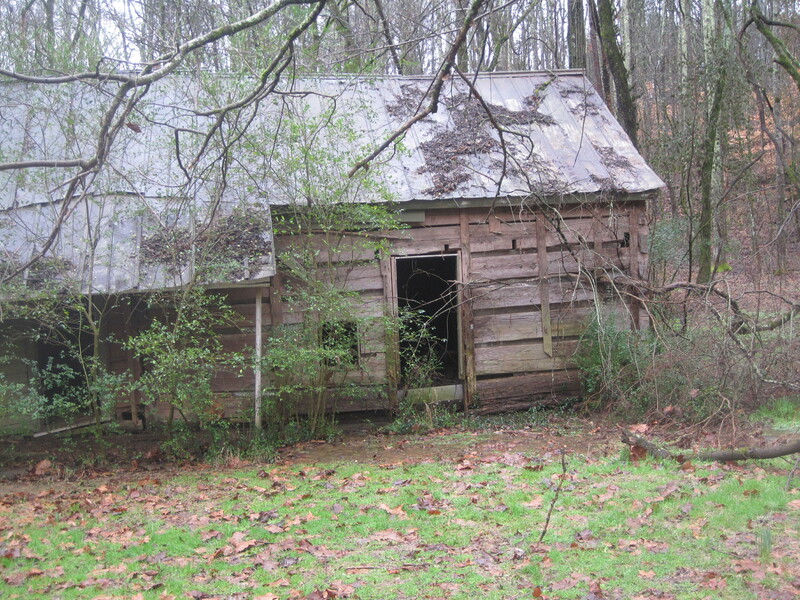 The location of the house near a spring also hints at its early date of construction, but water run-off, caused largely by the modern construction of a two-lane highway, has undermined the foundation of the cabin, and threatens its preservation. This entry was posted in Uncategorized on September 24, 2013 by carrollvanwest. I would love information to an exact location of the shamblin cabin. I do photography and have heard of this cabin. I had family on the trail of tears. My 4 or 5 times great grandfather (of matrilineal descent) George Foreman. I do not have any ill intentions only to photograph this wonderful place. If you could please give me an exact location that would be great. Please let me know! Thank you. Thank you. Do you know the name of the highway? is it highway 11 and head south out of calhoun toward charleston?